Mega Bloks Halo 97071 Flood Siege set review! Since I started with the MB Halo stuff, I just haven't been able to stop. If only I had gone with my gut and started buying these back when I first saw & wanted them, I wouldn't be playing so much catch-up now! 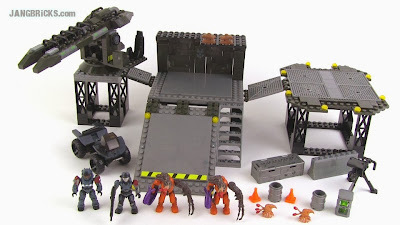 Video: Mega Bloks Halo 97071 Flood Siege set review!